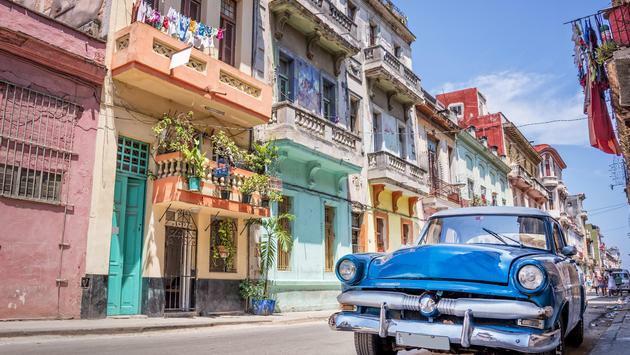 WHY IT RATES: Silversea's new Cuba cruises mark the first time in the cruise line's history that it will visit the Caribbean island nation.—Mia Taylor, TravelPulse Senior Writer. Ultra-luxury cruise leader Silversea has launched a new collection of voyages to Cuba, enabling guests of all nationalities to discover the remarkable destination. 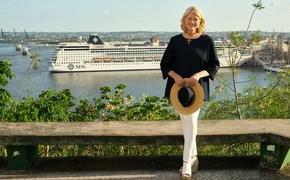 Departing for Cuba from the United States for the first time in the cruise line’s history, the 17 voyages will unlock authentic experiences for Silversea’s guests, showcasing the best of the country through immersive land excursions in various destinations. —Silver Wind will inaugurate the collection of voyages to Cuba when she sets sail on February 14, 2019, on a seven-night voyage from San Juan to Fort Lauderdale. The itinerary will include visits to the Cuban cities of Havana and Santiago de Cuba, and the Bahamian island of Bimini. —Silversea’s recently lengthened Silver Spirit will depart San Juan on a 10-night voyage on February 22, 2019. An overnight in Santiago de Cuba will be complemented by calls in Cienfuegos and Havana, as well as stops in George Town, Key West and Bimini, before finishing in Fort Lauderdale. —Departing San Juan on March 31, 2019, Silver Wind will unlock Santiago de Cuba and Havana on overnight calls, as well as Cienfuegos, on a 10-night voyage. The itinerary will also incorporate George Town in the Cayman Islands and Bimini. —Also aboard Silver Wind, a nine-night round-trip voyage from Fort Lauderdale - departing April 10 - will call in Santiago de Cuba overnight and Havana, in addition to Bimini, Nassau and Port Canaveral. —Concluding the selection for 2019, a 14-night sailing aboard Silver Whisper will depart Fort Lauderdale on November 22. The round-trip voyage will feature a visit to Cienfuegos, plus overnight stays in Santiago de Cuba and Havana, offering ample time for guests to experiences the local way of life. The itinerary also includes calls in Grand Cayman, Cozumel, Belize City and Key West. Silversea guests will be treated to a host of carefully curated people-to-people experiences, designed to enable travelers to delve deeper into Cuba's stunning natural beauty and a number of the country’s cultural and historical highlights. Following is a small sampling of shore excursions in each of the offered destinations, with additional bespoke experiences to be revealed in the coming weeks. In the Cuban capital, guests will have the chance to learn about key landmarks on a panoramic driving tour, escorted by a knowledgeable local guide. They will be able to explore the UNESCO World Heritage-listed Old Havana on a walking tour, with rum and cigar demonstrations and tastings. They’ll also be able to cruise along the waterfront in vintage 1950s American cars; be enchanted by the Latin rhythms and captivating dancers of the iconic Tropicana Cabaret; savor inspired musical performances at La Zorra y El Cuervo, the city's legendary jazz club; and travel beyond the city to the World Heritage-listed Viñales Valley, renowned for its stunning landscape and tobacco cultivation. Often described as Cuba's cultural capital, Santiago de Cuba impresses with its wealth of interesting attractions, from colorful colonial buildings, churches and a UNESCO World Heritage-listed fortress to eclectic museums, and charming parks, gardens and UNESCO World Heritage-listed old French coffee plantations. Guests will have opportunities to connect with local culture at historic sites of interest, gaining insight into the Cuban Revolution and the Spanish-American War. They’ll also be able to delve into the Cuban traditions surrounding tobacco and rum, and much more. Situated on a gorgeous natural bay, the breathtaking beauty of Cuba is on full display in Cienfuegos. Originally home to French settlers, the city offers a culturally diverse charm, highlighted by a World Heritage-listed city center that brims with elegant, neoclassical buildings. From here, guests can embark on an exploration of UNESCO World Heritage-listed colonial Trinidad, with its cobbled lanes and striking architecture; experience a local cultural community project and the first and only art gallery in the mountains; or marvel at the cascading waterfalls, natural pools and lush mountains of El Nicho, a pristine park named after its signature waterfalls.